Suppose someone approached you in the year 2000, when the price of gold was around $250 an ounce and suggested that it would be worth almost eight times its current value within the next decade. I am sure most people would have thought that person to be less than credible making such an outrageous market call. Think about it. An asset being expected to multiply by eightfold within a decade? But as we all know now, gold went from $250 an ounce to just over $1,900 an ounce in just that amount of time. What if I was to tell you that gold could make another such run over the next decade plus? Does it seem that outrageous now? Well, I think the math shows it can and will, with the price of gold futures surpassing $25,000, and more specifically for this column, the price on the Gold Bug Index HUI, -1.35% eclipsing 15,000. But let’s take a look back before we go forward. It’s the middle of 2011. Gold was rising parabolically — some days even advancing by $50 per day — and heading over $1,900. Breaking the $2000 mark to most was a sure thing. Last edited by 1Finance; 06-05-2015 at 04:25 AM. The US dollar had the final word in a turbulent and volatile week. G7 Meetings, a rate decision in New Zealand, employment data in Australia, as well as US retail sales, PPI and Consumer Sentiment stand out. These are the highlight events for this week. 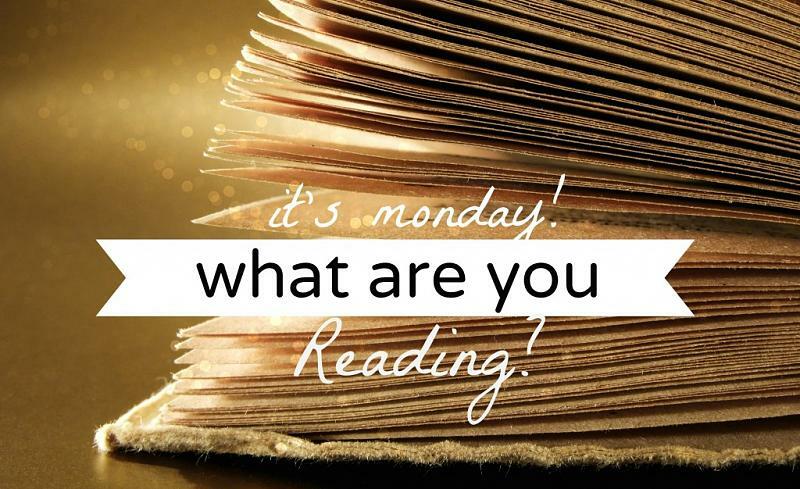 Join us as we explore the main market movers. G7 Meetings: Sun-Mon. finance ministers and central bankers from 7 industrialized nations will meet in Germany to discuss the escalating Greek debt crisis as well as global economy and foreign policy challenges. Russia will not participate in these meeting, but German Chancellor Angela Merkel noted there are many other ways to communicate with the Russian president. For example, the Normandy Format, where Germany and France together with Russia and Ukraine discuss how to resolve the conflict in Ukraine. The IMF will lead the negotiations with Greece instead of a German-dominated negotiating forum. Glenn Stevens speaks: Wednesday, 2:50. RBA Governor Glenn Stevens will speak in Melbourne after leaving us with a neutral bias in the last rate decision. Stevens may speak about the slower than expected pace of growth in Australian economy and the weakness in business capital expenditure in both the mining and non-mining sectors. However, the good news is that the Aussie depreciated in the past year, lowering key commodity prices. Mark Carney speaks: Wednesday, 20:00. BOE Governor Mark Carney will speak in London. He may have to refer to the embarrassing revelation that the Bank of England is secretly planning for Britain’s exit from the European Union. “Project Bookend” was accidently delivered to an editor at The Guardian newspaper and was also kept from many of the BOE’s stuff. Market volatility is expected. New Zealand rate decision: Wednesday, 21:00. The Reserve Bank of New Zealand maintained rates at 3.5% in April, in light of the rising uncertainties in Europe, China and Australia as well as, domestic dependence on accommodative monetary settings. However, the massive decline in world oil prices is expected to boost growth since Crude oil prices are almost 50 percent below their July 2014 level. Inflation remains low but is expected to pick up gradually. The Reserve Bank of New Zealand is expected to maintain rates in June but many expect a cut later this year. Australian employment data: Thursday, 1:30. Australia’s unemployment rate in April increased mildly as expected, reaching 6.2%, after a fall of 2,900 positions in April. The unemployment in Australian remains above 6% in the last 11 months indicating sluggish growth in the Australian job market. Full-time employment decreased by 21,900, while part-time employment increased by 19,000. Australian employment market is expected to add 15,200 jobs while the unemployment rate is forecasted to remain at 6.2%. US Retail sales: Thursday, 12:30. U.S. retail sales remained flat in April amid reduction in purchases of automobiles, indicating the US economy is struggling to get back on track after sluggish growth in the first quarter. Hopes for a strong rebound in the second quarter are fading in light of this weak release as well as other economic indicators. Retail sales excluding automobiles, inched 0.1%, while expected to rise 0.4%. The lukewarm data suggests the Fed will not hurry to raise rates anytime soon. Analysts expect U.S. retail sales to edge up 1.1% and forecast core sales to rise 0.7%. US Unemployment claims: Thursday, 12:30. The number of Americans applying for unemployment benefits declined unexpectedly last week to 276,000, remaining below 300,000 for the 13th week. The four-week average moved up 2,750 to 274,750. The relatively small number of employment seekers indicates improved job security. Economists hope for a solid job gain in May. Job growth remained strong despite temporary setbacks, suggesting employers were not deterred by the slowdown in the first quarter. The number of claims is expected to reach 277,000 this week. US PPI: Friday, 12:30. U.S. producer prices resumed their descent in April as energy prices continued to decline. Producer price index fell 0.4%, falling for the third time this year after rising 0.2% in March. In the 12 months through April, producer prices fell 1.3% the biggest decline since 2010. The 0.7% drop in finished goods was the major cause for the decline in the PPI. Economists forecast a 0.4% rose in Producer prices this time. US UoM Consumer Sentiment: Friday, 14:00. The University of Michigan’s survey showed Consumer sentiment declined in May to 90.7 from 95.9 in April, the lowest reading since November 2014. Consumers were more concerned about current economic conditions as well as the future. However, the Conference Board, a business group, reported that its index of consumer moral showed mild improvement in May. From 94.3 to 95.4. Nevertheless, The Michigan index is well above last year’s 81.9 indicating a pickup in consumption. Consumer sentiment is expected to grow to 91.3 in June. There is little denying NFPs fed rate speculation this past week. But with the June FOMC meeting not far away, conviction is difficult to secure. The economic data prints coming out of the U.K. & U.S. should continue to drive GBP/USD volatility in the week ahead as market participants weigh the outlook for monetary policy. The Japanese Yen fell for the third-consecutive week and finished at decade-plus lows versus the US Dollaras traders sold aggressively into JPY declines. 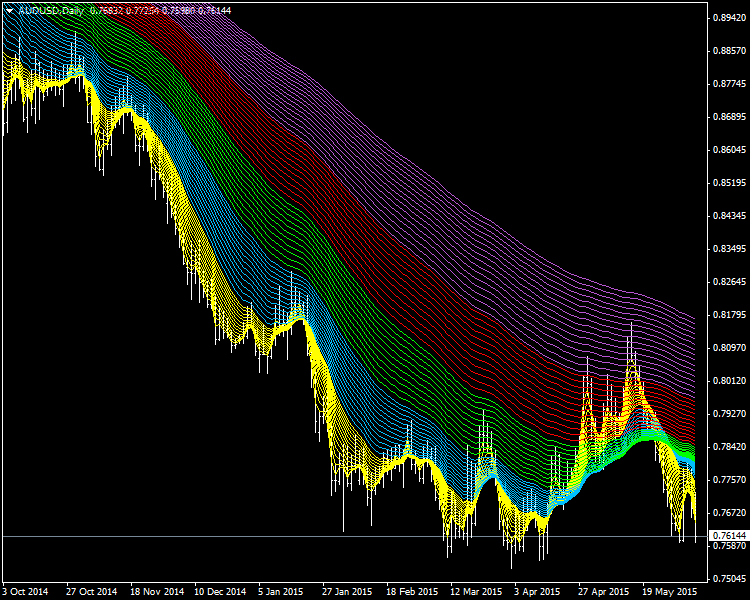 Current price momentum leaves us in favor of continuedUSD/JPY gains. Gold prices tumbled for a third consecutive week with precious metal off by another 1.8% to trade at $1169 ahead of the New York close on Friday. The Australian Dollar looks set for another volatile week as domestic and Chinese data fuels RBA policy speculation while risk appetite trends remain in flux. 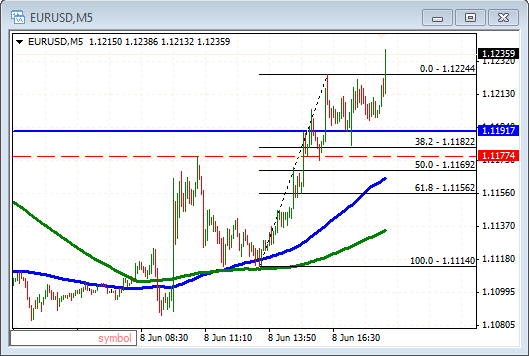 EURUSD exploded higher early last week before but gave back most of its gains on Thur. & Fri.
EURUSD had a rollercoaster ride of a week, spiking nearly 500 pips trough-to-peak before giving back over 300 pips in the wake of Friday's strong NFP report. Meanwhile, both the MACD and Slow Stochastics are now in neutral territory, signaling balanced, two-way trade. Traders are clearly trying to sort out last week's volatile price action, but from a longer-term perspective, the one-year bearish trend line perfectly capped last week's rally, so we're inclined to give the bears the benefit of the doubt as long as EURUSD holds below 1.1380. The EUR/USD soared for several days adding almost 300 points to trade above the 1.13 level to reverse course Friday and fall 125 points to end the week at 1.1114. The euro had to deal with the Greek situation which is now hitting its pinnacle as Greece did not make the June 5th payment and asked the IMF to combine all the June payments to pay at the end of the month. The ECB supported the currency and Mario Draghi sent the euro soaring at his monthly press conference. Friday’s NFP printed above the expectations helping the dollar to gain. The dollar got a lift on Friday as official data showed US businesses accelerated hiring and raised wages at a faster pace last month in a fresh sign the country’s economy is rebounding from the winter stall. In a report that gives the Federal Reserve more reason to move toward an interest rate hike in the coming months, the Labor Department said Friday that the economy pumped out 280,000 jobs in May, far more than expected and well above the past year’s pace of 251,000 a month. Meanwhile, the euro was down over 1 percent against the U.S. dollar as Greek debt crisis intensified. Athens failed to repay a 300 million euros (333 million U.S. dollars) loan installment to the International Monetary Fund (IMF) Friday. On Thursday, the central bank of Greece formally requested the IMF to “bundle” its four payments due to the IMF this month amounting to approximately 1.5 billion euros (about 1.67 billion U. S. dollars) into one. Last edited by 1Finance; 06-07-2015 at 05:25 AM. Rand Exchange Rate Trending at 11-Week Low vs GBP, USD and the EUR on Credit Rating Expectations. Expectations that top ratings agency Fitch would downgrade South Africa’s credit rating placed the Rand exchange rate under heavy pressure on Friday, despite some analysts asserting that the institution is more likely to affirm the nation’s BBB sovereign credit rating and negative outlook. The Pound to South African Rand exchange rate: GBP/ZAR converts at 19.214. The South African Rand to Pound exchange rate today is converting at 0.052 ZAR/GBP. The South African Rand to Euro exchange rate: ZAR/EUR conversion is 0.072. The South African Rand to US Dollar exchange rate converts at 1 ZAR is 0.08 USD. Last edited by 1Finance; 06-07-2015 at 07:05 AM. "USD: EM and G10 Divergence. Bullish. We remain USD bulls but recognize that USD could see some correction against EUR in the near term as European yields head higher on the back of reflationary signs. This could spill over to mild weakness against other G10, but we remain bullish against EM. Higher volatility will reduce the attraction of EM carry, particularly as core yields rise across the board, narrowing interest rate differentials. In the medium term, we still expect USD to be a broad outperformer. EUR: Draghi Gives EUR Legs. Bearish. The ECB did not push back against higher yields in the Euro Area, which could offer some near term support to EUR on the crosses. Should risk appetite fade, this could bolster EUR even further, as many European equity holdings are currency hedged, and therefore short EUR positions would need to be bought back as equities were sold. Once this positioning becomes clearer, we would look to sell EUR, as our medium term view on EUR has not changed. JPY: Weakness Largely Behind Us. Neutral. 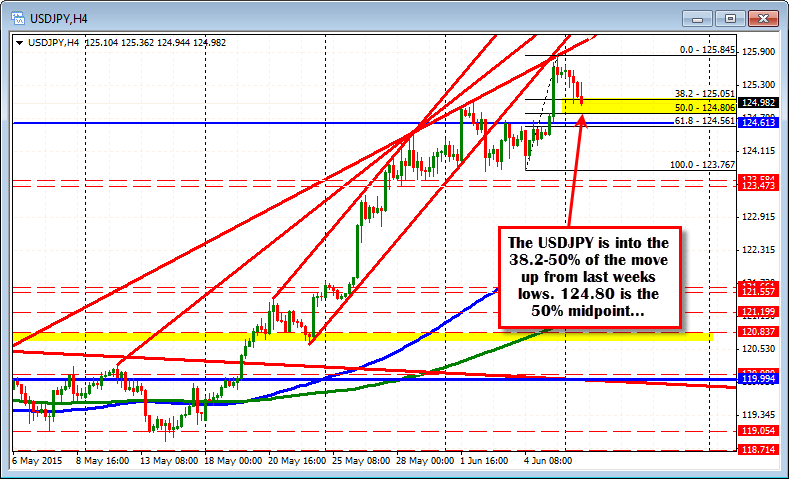 We believe the majority of JPY weakness is likely behind us, though USDJPY could trend slowly higher. Japan yields have been dragged higher alongside European yields, limiting the extent of yield differentials which could send JPY lower. The break of 125 could drive a larger move higher, but with wage growth remaining strong, we believe that JPY is more likely to remain range bound in the near term. 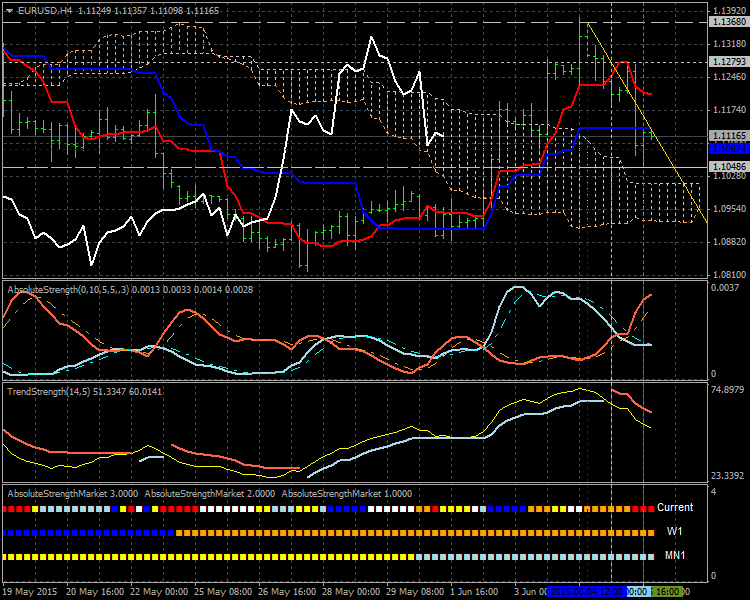 GBP: Sell on Rebounds. Neutral. Driven more from the USD side of the equation, we like selling GBPUSD on rebounds. The currency pair continues to be sensitive to data. 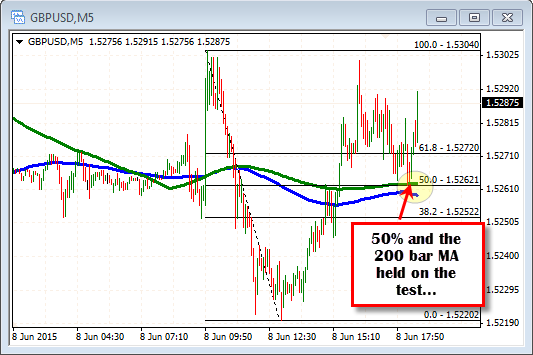 In particular when Services PMI headline was weak, the underlying details showed signs of strength in the labour market – however GBPUSD fell on the day. The same is with the US side, where we watch for the hard data. There are near-term upside risks associated with our bearish EURGBP view given the volatility seen from the EUR side of the equation. AUD: RBA Cuts Not Priced. 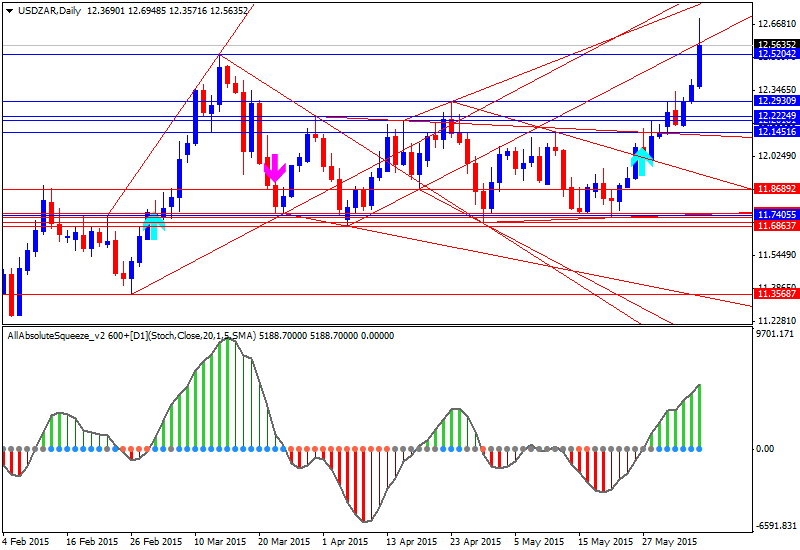 We remain bearish on AUD but would wait for better levels before selling. First, as EUR regains some ground, G10 currencies across the board could see support against USD in sympathy. Second, the RBA sounded less dovish at its latest meeting, and GDP was stronger than expected. Both of these increase our reluctance to add to AUD short positions here. 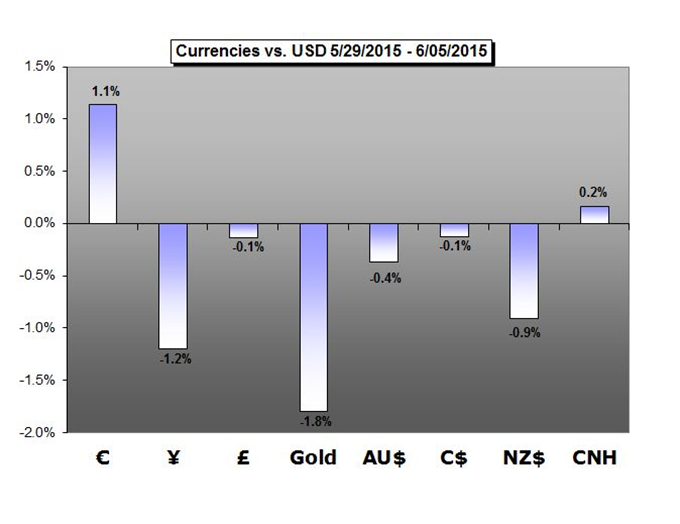 That said we maintain our medium term bearish view as lower commodity currencies have a second round impact." Last edited by 1Finance; 06-07-2015 at 04:14 PM. Last edited by 1Finance; 06-08-2015 at 01:22 PM. 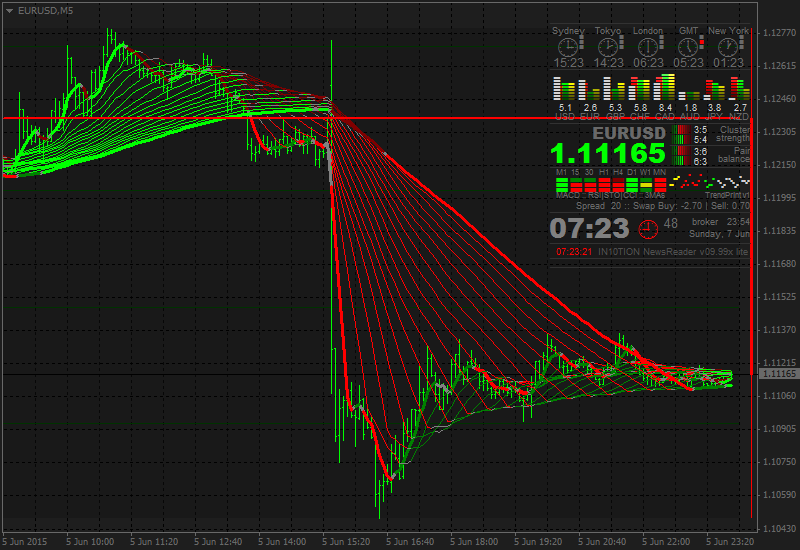 The EURUSD traded at 1.1220 right before the employment report on Friday. It is back at that level and in fact now breaking to new day highs. The NY session has seen the price extend above the the London morning high at 1.1177. The price low after breaking above that level briefly traded at 1.1175. The buyers remain in control with potential up to 1.1253 on more of a squeeze. 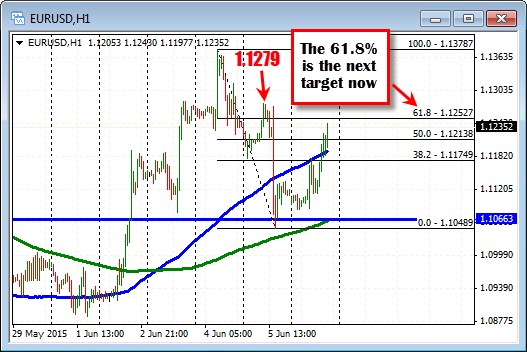 The GBPUSD has been up and down (or down and up) in trading today. The last move was down and that move tested the 50% midpoint and the 200 bar MA on the at the 1.5262. 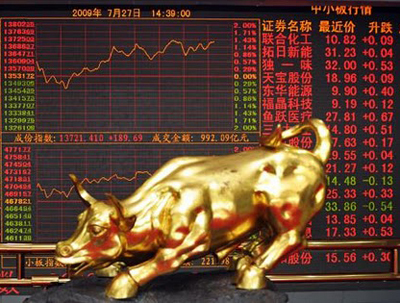 On Friday, the pair successfully held the 50% of the move up from the April low to the May high at the 1.5191 level. That, along with the 50% and the 200 bar MA on the 5 minute chart has the buyers with the edge. 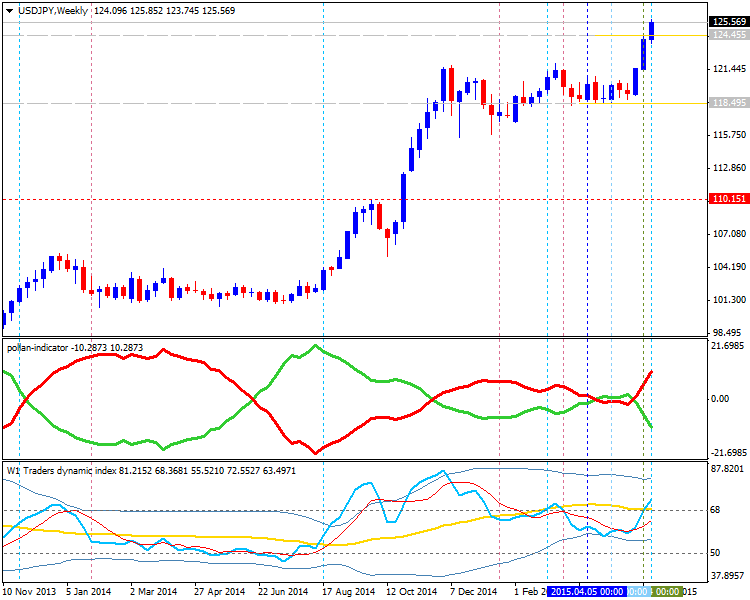 GBPJPY has been gradually trending higher on its short-term time frames, but it looks like a pullback is in order. Price has retreated from its previous highs at 191.50 and is testing support at the 200 SMA on the 4-hour chart. This area has held as dynamic support in the past and might continue to do so. If a bounce takes place, price could move back to the previous highs and even attempt to break past the 192.00 major psychological mark. Stochastic is pointing down, indicating that sellers are in control of price action. RSI is also reflecting a pickup in selling momentum, hinting at a potential downside break. If that happens, the pair could be in for a longer-term drop, possibly until the next support near 189.00. Earlier today, Japan reported a stronger than expected core machinery orders figure, which indicated a 3.8% gain versus the projected 2.0% decline. This was also better than the previous 2.9% gain. There have been no reports out of the UK so far, which means that the current selloff was mostly due to yen strength. Japanese officials continued to reassure markets that the economy is recovering moderately, which might allow them to increase the sales tax in 2017. Meanwhile, BOJ Governor Kuroda said that they’re not too worried about yen weakness against the dollar since a Fed rate hike for the year has long been priced in. Event risks for this setup today include the release of UK manufacturing and industrial production reports. Stronger than expected data could remind traders that the BOE’s next move is still likely to be a rate hike and add support for the pound. On the other hand, bleak figures could cast doubts on this hawkish outlook and trigger a pound selloff.